The new SB700 south bridge is fuller featured, yet pin compatible with the older SB600, just like the 780G is pin compatible with the 690G – this should make it easier for companies to upgrade their board designs. 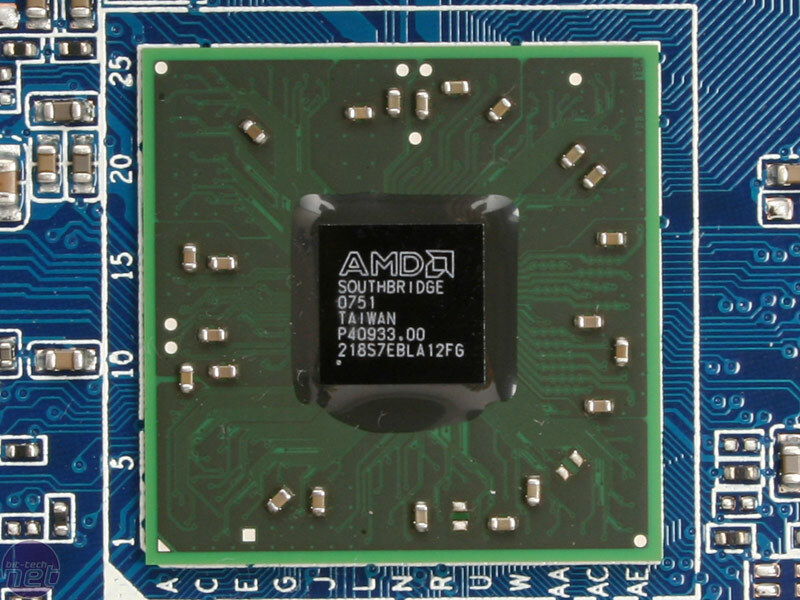 When we spoke to AMD, we were assured the new south bridge had undergone some important revisions and serious performance tuning – especially in the SATA and USB areas, where AMD has been fairly lacklustre in the past. The improved performance comes in addition to extra USB 2.0 ports which are now up to twelve USB 2.0 and two USB 1.1, as well as an increased SATA count to six, however there is still no support for software RAID 5 if that’s important to you. To not bottleneck these new needs, the interlink bandwidth has also been doubled thanks to the upgrade to PCI-Express 2.0 for the pair of PCI-Express lane interconnects. 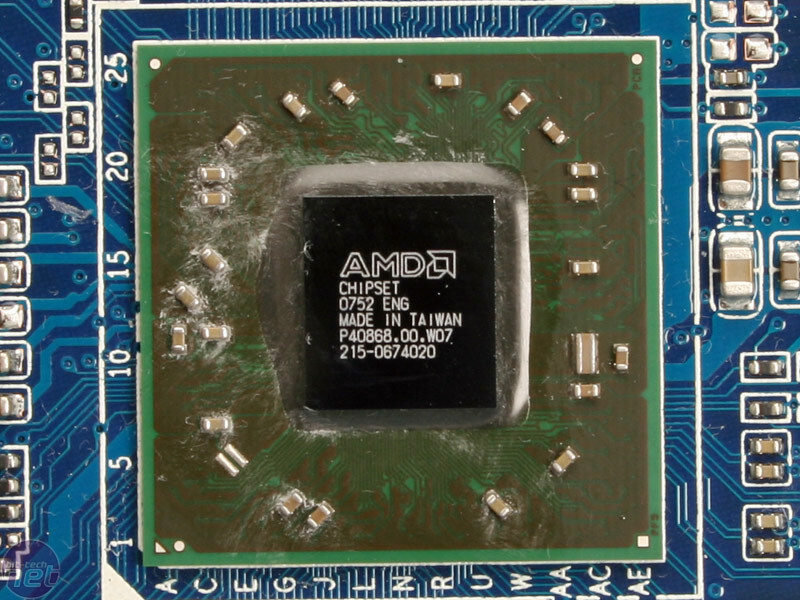 Just as we reported with our AMD Griffin and Puma coverage, the SB700 also includes support for HyperFlash technology, although AMD told us that this is currently disabled in the drivers for the desktop parts, and will be introduced in the future for mobile devices when the M780G chipset launches. In addition to the Hybrid CrossFire technology we expect there will be a Hybrid switching introduced between IGP and discrete card, just like Nvidia’s Hybrid SLI, rather than the “additional performance” Hybrid CrossFire only currently being introduced with the AMD 780G chipset. When we asked why this Hybrid “discrete-IGP switching” CrossFire wasn’t available now, AMD said that it will only introduce the technology when it’s completely seamless and intuitive to the end user. It continued to claim that when using a desktop card there was an inherent latency in switching between IGP and discrete card, and it also still requires power to parts of the card in order to keep an ear out for when it’s needed. Given AMD’s achievements with the recent introduction of ATI PowerPlay technology on its desktop cards, it’s understandable that the company feels the technology needs to work to its maximum potential from the outset in order for it to be a success. AMD also has shown concern about a systems automatic differentiation between low power games, which the IGP can easily handle, and the serious 3D monsters that will require the horsepower available from a discrete graphics card. Profile management could be included, but what about less popular games and regional specification? That’s a significant amount of work in addition to the considerable workload the company already has keeping its Catalysts, Hybrid drivers and CrossFireX up to date. The package looks excellent on paper – the perfect combination of low power, inexpensive and fully capable. For home theatre PC enthusiasts the inclusion of UVD is especially important because it means you can buy a very low power and cheap CPU and even be able to playback high-bitrate Blu-ray (and HD DVD) discs at resolutions of up to 1080p. What is missing still is the lack of full bitrate High-Definition 7.1 channel audio pass-through to HDMI – the onboard audio controller that can only cater for S/PDIF bandwidth that is limited to 5.1 channel DVD quality Dolby Digital or DTS, not 7.1 channel DTS MasterHD or Dolby TrueHD that is featured on Blu-ray and HD DVD media. The UVD offers complete bitstream offloading support, regardless of whether it’s from hard disk or physical media; however the software needs to provide specific support – like Cyberlink PowerDVD. This is an extra cost to the consumer, where a lot of people will prefer to use players like Media Player Classic, VLC or CoreAVC. Has the video quality been improved though? The AMD 690G scored just over half in the HQV score, while the Intel G35 got a perfect score. However, neither of these could playback all content smoothly at 1080p and, in the case of protected Blu-ray and HD DVD movies, they struggled even at 720p. 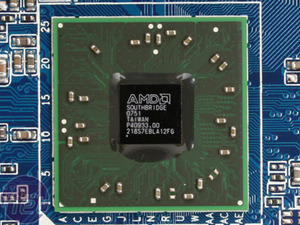 Given that the shader power has been considerably improved over the 690G, can the AMD 780G improve on both of these areas to make the ultimate home theatre PC motherboard? We revisit the Linux version of HTPC app Boxee with the help of Zotac's latest Ion-F motherboard and Nvidia's GPU video acceleration to see if this is the future low power, truly silent HTPC solution. In conjunction with AMD's new 785G chipset, the elaborately named Gigabyte GA-MA785GMT-UD2H is setup for AM3 and DDR3 support, as well as the latest integrated graphics with nifty home theatre features to boot. Is it worth the upgrade from 780G and how does it compare to a discrete HD 4350? 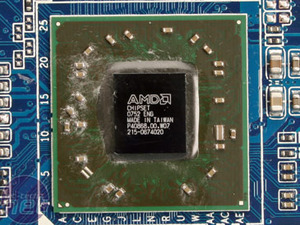 AMD's latest integrated graphics chipset for home theatres and AM3 CPUs is here. We get behind the details to find out what's new and if it's worth the upgrade.